Skerries Rugby Football Club 1926-2016 90 Years !! As President of Skerries Rugby Football Club, I would like to extend a very warm welcome to all Members, Sponsors, Supporters, Match officials, Visiting teams and their Supporters to Holmpatrick. With the Senior Team, Second team and Under 20’s under new coaching management teams, I wish them all the very best of luck and success for the season ahead in all competitions. The success of our under age teams has been exceptional in the past few years and it is with great hope these players will become our Senior Teams of the future with the support of their Coaches. This is important to the Club as we have a wonderful structure to attract players from an early age to play the game which in time and with patience from all the Coaches can achieve great success and create a brilliant family atmosphere in the Club. During the off season we have continued to improve facilities and this is an ongoing ambition of the club . As the club is in its 90th year, there are a wide range of events planned to mark this celebration and the details will be advised on our website. We look forward to your support which will make these events successful and in particular we are looking forward to greeting former players and former members back into the club. I want to thank everyone for their time in organising these events . I would also like to thank all the volunteers who serve on committees or work in various roles around the club, our club can only survive with your goodwill and the support of the community. This year we will be travelling to Dunbar RFC to play our annual fixture and to meet up with new friends and long standing one’s. This fixture, on going since 1952 has now achieved a historic status among rugby fixtures between clubs and is a most enjoyable event every year. I, like those who are seasoned travellers and the many new one’s are looking forward to the weekend. This event needs planning so to all who work to achieve and maintain this relationship I say a special thanks . Finally to the Members, Sponsors, Friends of Skerries RFC and everyone who in anyway contributes to our club, I would like to express my gratitude . 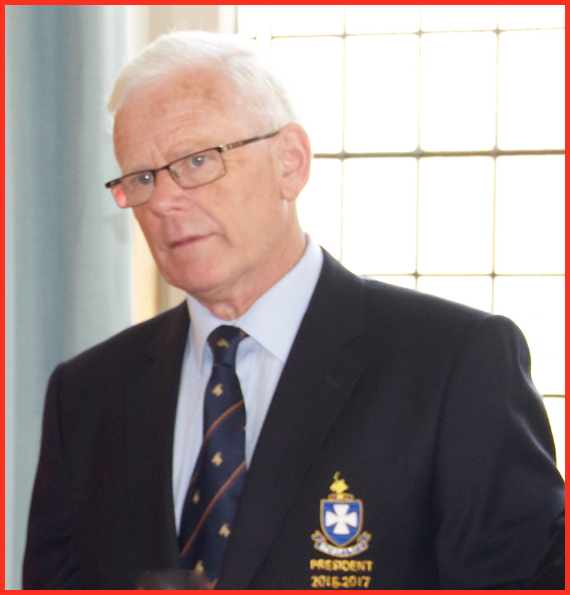 President Skerries Rugby Football Club.